This entry was posted in Abstracts Paintings and tagged abstract art abstract painting blue abstract painting poured paint on August 8, 2013 by Karin. 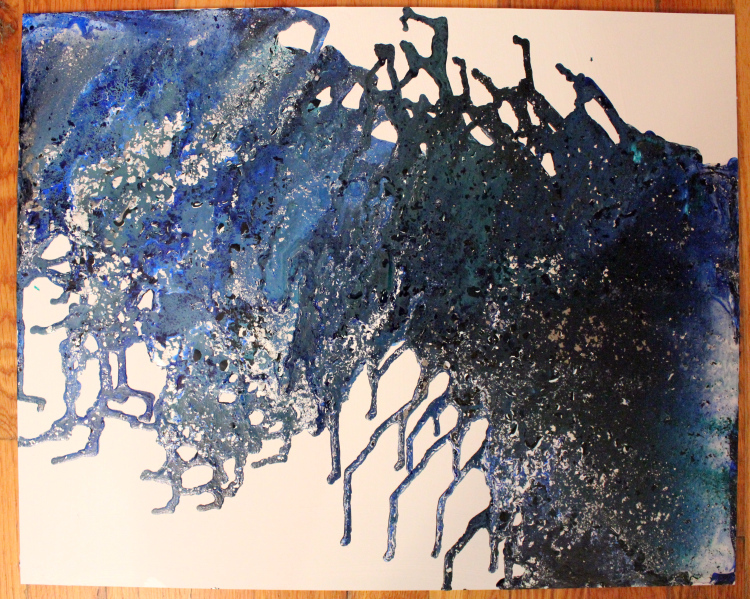 I’m working on a painting that will be made up of multiple layers of poured paint. Here are the first two layers. I’m having SO much fun with it already!